Canadian voters emphatically reclaimed their country’s liberal identity, putting Justin Trudeau, the youthful son of one of the country’s most dynamic politicians, in the prime minister’s office, and ending 10 years of leadership by Stephen Harper, whose dream was to recast Canada as a more conservative country. The victory in the October election by Trudeau’s Liberal Party was stunning. 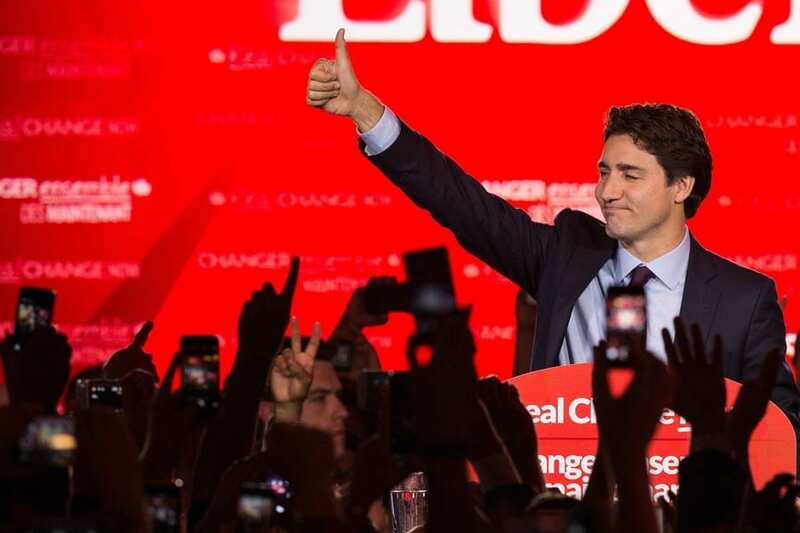 The Liberals were on a path to win at least 184 seats out of 338 – a parliamentary majority that will allow Trudeau to govern without relying on other parties. Harper, one of the longest-serving Western leaders, will step down as Conservative leader, the party announced as the scope of its loss became apparent. Trudeau is the son of the late Prime Minister Pierre Trudeau, who swept to office in 1968 on a wave of support dubbed “Trudeaumania “Tonight Canada is becoming the country it was before,” Trudeau told a victory rally in Montreal.